Juliet Pickering is a literary agent at the Blake Friedmann Literary, TV and Film Agency. Founded in 1982 from the merger of the Julian Friedmann Literary Agency and Carole Blake Literary Agency, they have established themselves as one of the prominent literary agencies for developing the career of a writer rather than looking for stand alone books. After graduating from university, Juliet Pickering initially became a fiction buyer for Waterstones. This enabled her to develop an understanding of the fiction market, across all genres. This would prove essential training for when she joined AP Watt in 2003. She was soon working for one of the most respected agents in London, handling the journalism, audio and sub-rights for his clients. In 2007 Juliet was promoted to Associate Agent, and over a six-year period built an impressive client list of her own. This client list, combined with her frequent attendances at literary festivals and events, has seen Juliet Pickering become one of the most dynamic literary agents working in the industry today. Consequently, when the Blake Friedmann Literary, TV and Film Agency were looking to expand their team, Juliet's list of debut fiction and non-fiction was an excellent fit. She joined them in Feb 2013 and is now actively seeking out new writing talent to add to her roster. Juliet is also on Twitter, and often tweets great advice for writers and updates on what she is looking for. So do click the follow button at the end of this interview for more insights. In the earlier part of your career what were the most surprising aspects you learnt about the life of a literary agent, and the publishing industry itself? I’m not sure that anything surprised me (apart from the odd submission! ), but I did learn a lot about how each and every author and each and every book is unique, and is treated as such. There is no one rule to suit everyone, you work it out as you get to know your authors and their writing. In terms of the publishing industry: it seemed there were a huge number of editors and tastes out there, and it took a while to work out which imprint did what within which publishing group. Now I feel like I am much better informed, and that comes with making submissions and getting to know editors better and better. When a literary agency is looking to bring a new agent to the team from another agency, does the agent have to guarantee to bring their roster of clients with them? Do agencies ever try to contractually bind a client to them so that if their agent leaves the agency still maintains the client? Where does the client's allegiance lie? If an agent leaves one agency for another, it is usually assumed that most of their authors will go with them. Of course, that agent will speak to each author and make sure they're happy with the change and they wish to follow their agent. The author-agent relationship is all-important, so it would be hoped that an author would want to follow their agent. And an agent's worth depends entirely on their clients, so it's vital to nurture that relationship and trust each other. Does the rise of e-book publishing and Amazon’s fluctuating prices, make it harder for a literary agent to monitor and collect digital royalties for their authors? The rise of e-book publishing has been a terrific thing for the industry, I think, creating interest from readers and opportunities in new media that may have eluded us otherwise. It is difficult to secure fair prices for e-books, and that has been a big obstacle in the way of us feeling 100% enthused about electronic developments, but I think that we – agents and publishers – are working this out, and will hopefully decide on a sustainable model in the near future. Monitoring and collecting royalties is also something that's currently being worked out, as different publishers have different methods of reporting. Selling e-books is an immediate business, without threat of returns, so I personally think e-book sales figures - and royalties - should be more easily accessible to agents and authors. Can you explain how you felt when you first discovered an unsolicited manuscript in the slush pile that you later secured a publishing deal for? And how it made you feel when you contacted the writer to offer them representation? Discovering a good book in the slush pile is the holy grail of agenting; it’s why we read several hundred submissions a year. And one of the most exciting moments in the job is making that first contact with a writer, calling and telling them you have enjoyed their book. It’s important to then meet and know that you have a strong personal connection, understand the perspective each of you have on the book, and feel that you will be able to mutually trust and respect each other. How many submissions do you receive per month? And what percentage of them fail to impress based solely on the query letter? Very roughly, I probably receive four or five submissions a day, and that’s probably true for each agent. Usually (and there are exceptions) I will take a look at the query letter when it arrives, and then if it really excites me I will send the three chapters to my Kindle or read them over lunch. All other submissions are saved for when (if!) I have time to address them more fully. Most query letters are fine; a few are terrible and a few are exciting. A few are humbling, and remind you that some people have invested an awful lot in their book. What percentage of your current client list came from (i) the slush pile (ii) referrals; or (iii) other avenues? Are attending courses and literary workshops advantageous in attracting an agent's eye? Most of my current client list are non-fiction authors, and so most of those I have found myself. My fiction authors have come from both the slush pile and from the odd referral. It's hard to know whether courses and workshops are advantageous. It's encouraging to see that someone has perhaps done a well-respected course but, to be honest, you can either write and execute a good idea or you can't. It's all about the book! Do you envisage a future where the majority of larger agencies only accept submissions by referral? Or do you see any other developments in the submissions process to filter writers in their ever growing demand for a literary agent's attention? In a word: no. I think that would be idiotic! And the submissions process hasn't really evolved over the nine and half years I've been working in publishing. We - agents - are the filter for publishers, so we see everything and filter it out ourselves. Where is the boundary between an author’s ability to market themselves, and the encroachment into their agent’s territory of promoting their client? The agent promotes the client within the publishing industry; at the point at which the book is sold, the publisher then promotes the book and the author to retail and everyone else. Any self-promotion an author can do is usually complementary to our efforts and is encouraged, and there’s not usually any encroachment. If you could name one book for writers to study as an example of the perfect opening three chapters, or perfect hook, what would it be? I declare blatant self-interest with this answer, but it is also completely honest and I vividly remember reading this book for the first time and being gripped from the start: Tony Hogan Bought Me an Ice-cream Float Before He Stole My Ma by Kerry Hudson. It has the perfect opening: the voice - warm, spirited, funny - gets you from the very first sentence, and holds you throughout the next 250 odd pages. If you want to know what that frequently indefinable 'voice' is that agents and editors bang on about, read this book! For those writers keen to submit their work to you, how should they go about it, and what genres do you represent? 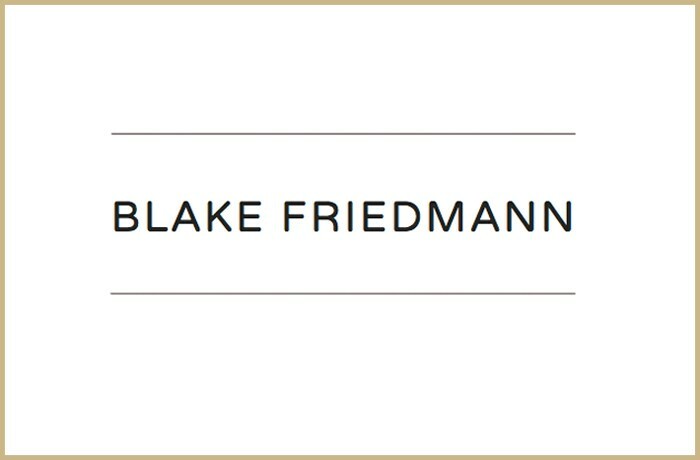 I refer you to the submissions page on the Blake Friedmann website. And also my agent's page there; in short, I consider everything except sport, fantasy, and YA/children's.